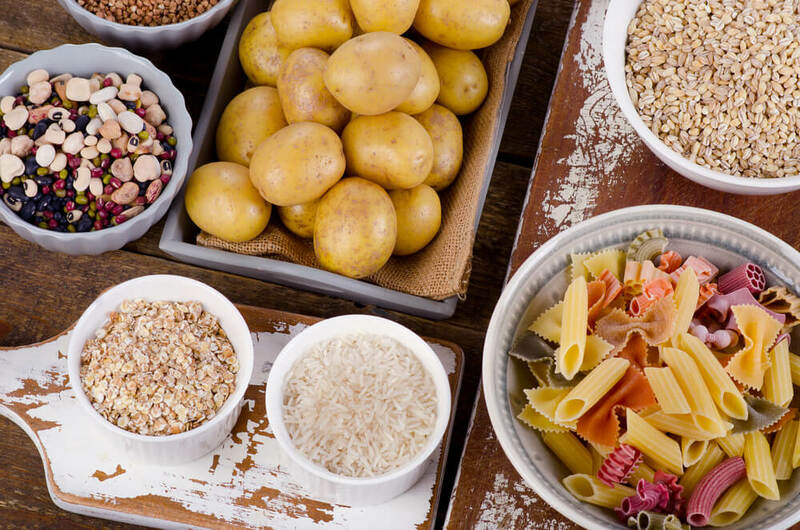 Learn about good carbs vs bad carbs and how they affect your overall health. Deciding which carbohydrates to eat is a hot topic, and depending who you are speaking to, you may hear that carbs are okay to eat or bad for your health. Though there are strong arguments on both sides when it comes to good carbs vs. bad carbs, dietary guidelines suggest half of our daily calories should come from the carbs we ingest and the amount of carbs one should eat depends on the individual. Click here for a list of the top 25 best carbs for diabetics. Before we take a look at the good carbs list versus the list of bad carbs, it is helpful to understand what a carbohydrate is and how it affects our body when eaten. When speaking about this area of nutrition, you will learn that there are three macronutrients that can be eaten – these include carbohydrates, fats and proteins. When we look specifically at carbs, they are then broken down further into three types. These include sugars, starches, and fibers. Now that you know what carbohydrates are, you may be wondering why our body needs them and how they are utilized. The main function of carbs is to give the body energy. Many of the carbs we ingest are broken down and turned into glucose. It is either used right then for energy or stored in our body fat and used at a later time. Carbs that are fibers don’t directly give the body energy, but rather provide our gut bacteria with “food” which indirectly can help our body function better. If you are watching your weight or trying to prevent any illness in the body, you are likely staying on top of what you eat. It isn’t uncommon to make a good carbs vs bad carbs list when you are grocery shopping, but in order to do that, you need to break carbs down into two specific categories. Over the years, research and many studies have linked a high intake of refined carbs to health issues such as Type 2 diabetes and obesity. At the end of the day, it is easy to see which carbs are the best for our body and our overall health, but having one cookie or a slice of cake at a celebration isn’t going to ruin your health. Moderation is key when it comes to refined carbs in the diet, though some people do cut them out completely. By adding more whole carbs to your diet, studies state that you exhibit a lower risk of disease and have better metabolic health. And, with so many varieties of fruit, vegetables, beans, and whole grains, it isn’t difficult to get a wide range of options of good carbs into your daily diet.